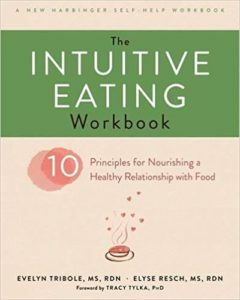 Elyse Resch knows all about Intuitive Eating because she is the co-author of the Intuitive Eating book and workbook, along with previous podcast guest Evelyn Tribole. In this episode, we talk about Intuitive Eating in the family dynamic. We are all born with an internal wisdom, but we get pulled away by diet culture and external regulation of eating – even as young kids with well-intentioned parents. Elyse gives a plethora of tips to raising Intuitive Eaters on this show, including some things I haven’t heard yet like food preferences being brain based and hormonally driven — like if you have a penchant for sweet and creamy vs salty and crunchy. Tune in and find out how you can set boundaries on body and weight talk with doctors and other people who may have concerns for your child’s weight — and if you’re concerned, some specific ways you can positively encourage intuitive eating skills in your kids and teenagers. 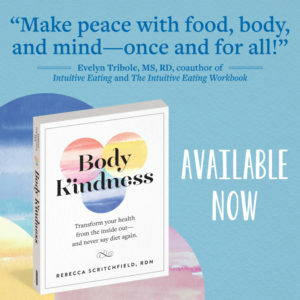 Elyse Resch, MS, RDN, CEDRD, FAND, is a nutrition therapist in private practice in Beverly Hills with over thirty-five years of experience, specializing in eating disorders, intuitive eating, and Health at Every Size. She is the co-author of Intuitive Eating and The Intuitive Eating Workbook, has published journal articles, print articles, and blog posts. She also does regular speaking engagements, podcasts, and extensive media interviews. Her work has been profiled on CNN, KABC, NBC, KTTV, AP Press, KFI Radio, USA Today, and the Huffington Post, among others. Resch is nationally known for her work in helping patients break free from the diet mentality through the intuitive eating process. 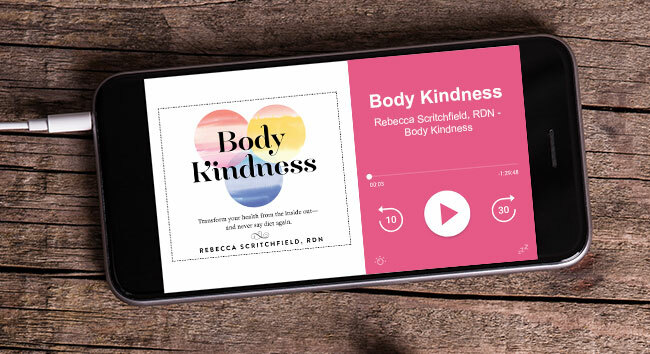 Her philosophy embraces the goal of developing body positivity and reconnecting with one’s internal wisdom about eating. She supervises and trains health professionals, is a Certified Eating Disorder Registered Dietitian, a Fellow of the International Association of Eating Disorder Professionals, and a Fellow of the Academy of Nutrition and Dietetics.